The Hammam (Hamam), is originally a place for cleansing, purification and body treatments. 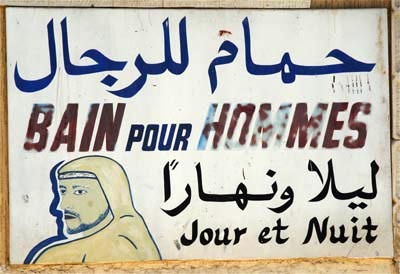 In traditional arab quarters we always find a hamam, a bakery and the mosque. A person taking a Turkish bath (Turkish: Hamam) first relaxes in a room (known as the warm room) that is heated by a continuous flow of hot, dry air allowing the bather to perspire freely. Bathers may then move to an even hotter room (known as the hot room) before splashing themselves with cold water. After performing a full body wash and receiving a massage, bathers finally retire to he cooling-room for a period of relaxation. bath times for women and men. Ritual ablutions before prayer are a daily part of Muslim life. 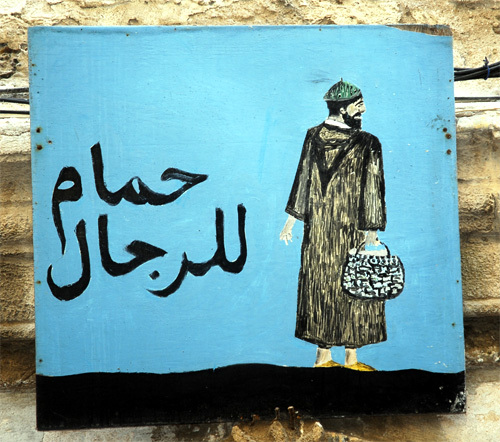 More than 1300 years ago the Prophet Mohammed recommended the hamam, or spreader of warmth, for health and fertility. 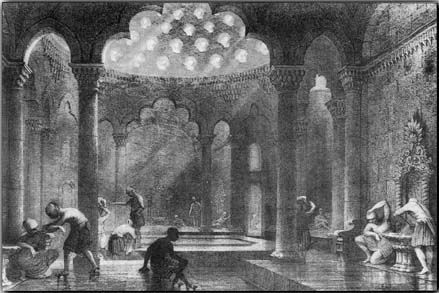 As they rode out of Arabia towards the Mediterranean, Muslims discovered old Roman baths and adopted their three-room structure: cold, warm and hot. The hamam once provided the only avenue for socialising, especially to women, who were otherwise restricted to the home. In fact it played such a crucial role in the lives of Ottoman women, that it is rumoured that women who did not receive their biweekly allowance from their husbands to go to the hamam were entitled to a divorce! Stories about young Tellaks (male masseurs) turning the head of their customers and providing them with many side benefits are based on real life events. The benefits of Hamam have been known for thousands of years. Today, Hamams are considered an area for purifying and detoxifying the skin and body, increasing circulation, stimulating the immune system and encouraging complete physical and mental well-being. Hamams are relaxing and stress relieving. Those with muscle aches or arthritis may find that the heat relaxes muscles and relieves pain and inflammation. Asthma and allergy sufferers find that the heat dilates air passageways of the lung and facilitates breathing. Hamams are worthwhile for your skin as the blood flow to the skin increases and sweating occurs. A good sweat removes dirt, dead skin and grime from pores and gives the skin a healthy glow.